Keeping a diet with a high pH can ensure that you live the healthiest life possible. We offer a great option to make sure that you are consuming Alkaline Water from the comfort of your home or work space. Our Aura Alkaline Filter combines the filtration technology of the Aura H20 with and alkaline core to ensure your not only drinking healthy filtered water, but water with a high pH. Give us a call at 619-356-3766 for a complimentary evaluation! This entry was posted in Alkaline on March 31, 2015 by Drink H2O. Many consumers don’t understand the difference between the “distilled water” and “drinking water,” you see on the shelf at the grocery store. The difference, though, can have a serious effect on your health. Distilled water is created by boiling tap water until it evaporates, then condensing the vapor back into liquid. While this process removes most contaminants in your tap water, it also has some less attractive effects. Distillation removes all the beneficial minerals from your water. The process also dissolves carbon dioxide from the air into the new liquid, making your water acidic (according to the EPA). This is why certain water at the grocery store is labeled “drinking water” instead of distilled: because the water meant for drinking is actually filtered and remineralized for your health. Water distillation was popular in the 1960s, when demand for clean water exceeded supply. Some people still used distillers today, but consumption has dropped as studies reveal the health dangers tied to drinking distilled water. 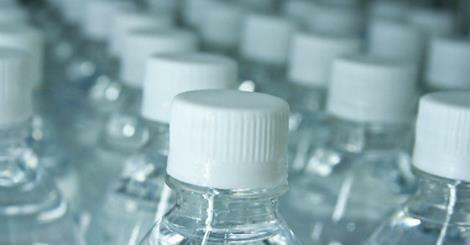 What Are The Main Health Risks Of Drinking Distilled Water? Drinking distilled water disrupts your body’s mineral balance. In fact, studies have shown that drinking distilled or demineralized water can leach minerals from your body. Mineral loss in the body puts you at risk for an array of issues including osteoporosis, hypertension, coronary artery disease and premature aging. Because distilled water leaches minerals from your body, dentists are seeing an increase in cavities in children who consume distilled water. The water can damage your teeth because it is readily looking to absorb nutrients and minerals from your body both internally and topically. Numerous studies, including one done by the World Health Organization have shown that because distilled water can cause an electrolyte imbalance in your body. Your body will leach electrolytes from your tissues in order to add them to the mineral-free water you are drinking. So what kind of water SHOULD I drink? This entry was posted in Contaminants, Drinking Water, Drinking Water Filtration System and tagged distilled water on March 17, 2015 by Drink H2O. We here at Evolution Healthworks drink a ton of alkaline water, and are extremely proud to offer products that help families get healthier through drinking alkaline water. Why is our alkaline water the best for you and your family though? Check out these 5 reasons! Evolution Alkaline water is a superior hydrator compared to other waters. This comes as a result that alkaline water has different cluster sizes of the water that make it easier to absorb. Evolution Alkaline Water contains beneficial minerals. We filter our water and remineralize it with minerals your body needs like magnesium, potassium, and calcium carbonate. 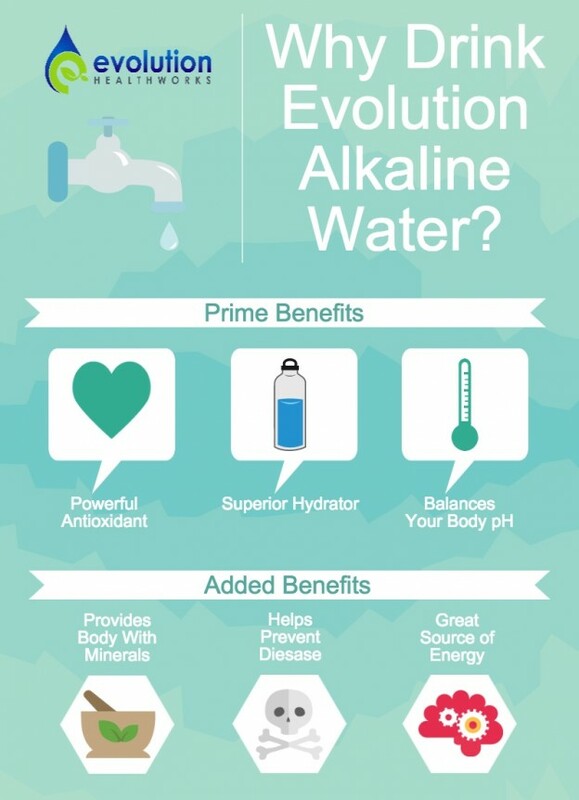 Evolution Alkaline Water helps balance your bodies pH. Our water has a pH of over 9 which helps balance your bodies internal pH through neutralizing acidic conditions which can breed disease. Evolution water helps the body detoxify itself. This leads to more physical and mental energy, healthier skin, better digestion, and happy bones and joints! 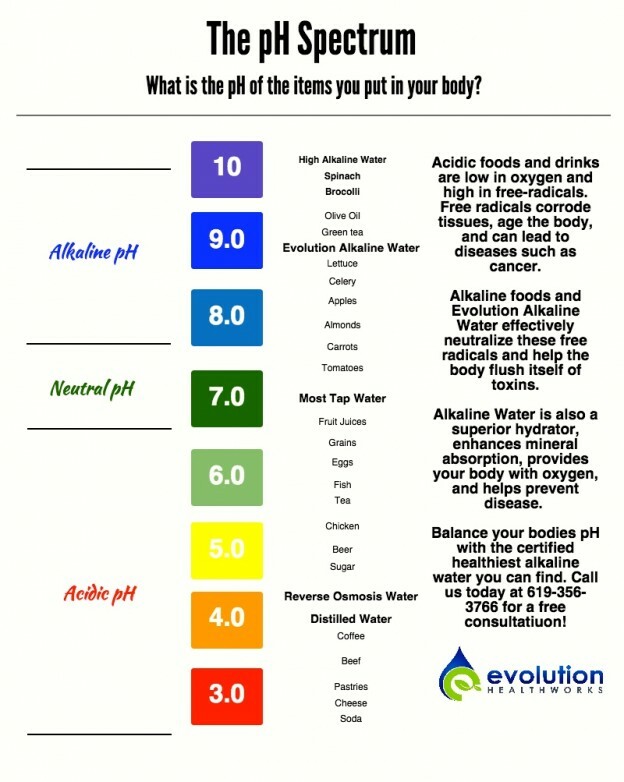 Check out our alkaline systems today! This entry was posted in Alkaline, Antioxidant, Oxidation Reduction Potential, pH Level on March 12, 2015 by Drink H2O.